Here’s your chance to win some SWTOUR swag! 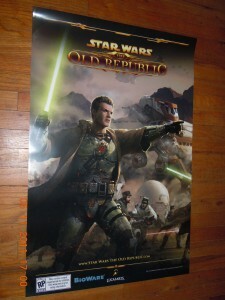 We have several posters and a couple copies of Deceived to give away to our faithful listeners. 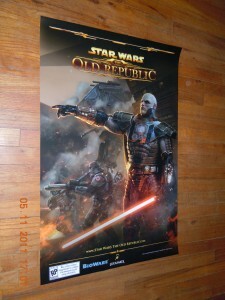 Drawing 1 is a set of SWTOR posters – one Darth Malgus poster and one Ven Zallow poster. Follow us on Twitter (corellianrun) OR Like us on Facebook (Corellian Run Radio). Tweets and Facebook posts must be PRECISELY AS STATED IN STEP 2 (see above). COPY PASTA IS YOUR FRIEND. Deadline 11:59 pm ET, May 17th. Winners will be drawn at random on May 18th. Winners will be contacted via Twitter or Facebook on May 18th and will have 24 hours to respond with mailing information or be disqualified. One entry per person per drawing. Winners must live in the Continental U.S.
Good luck! We’ll have several more drawings in the next couple weeks so keep your eyes peeled for future announcements.